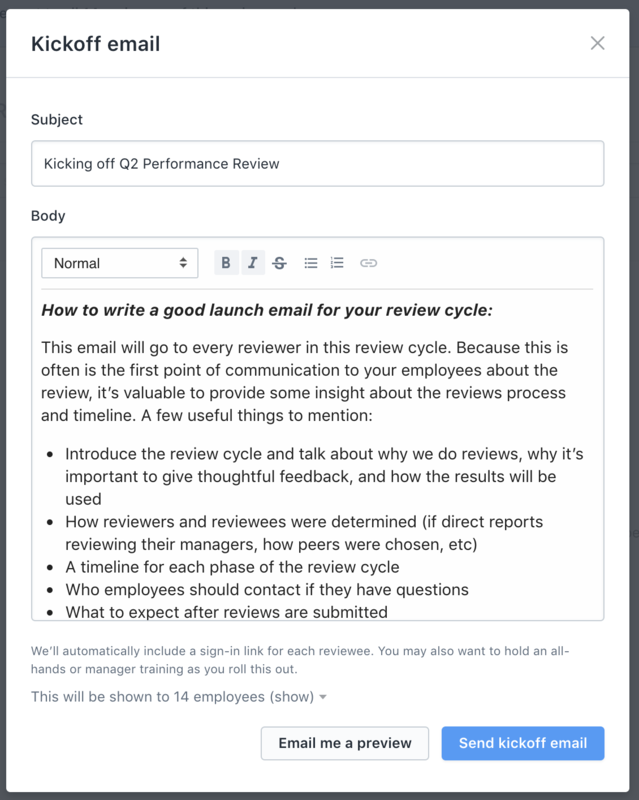 Introducing your review with a kickoff email is an opportunity to set a positive tone for your review process by clearly explaining the purpose for the review, the timeline for the review, and how the review is designed to benefit each employee. Once you click "Send kickoff email," an email will be sent to all participants. If a team member has been invited, but hasn't joined Lattice, they will be prompted to sign-up first.